Nulook Pools Canberra provides professional fibreglass swimming pool installation, service and repair work in Canberra and surrounding NSW. General inspection, show of pool operations, repair and installation of pumps, filters, skimmers, heaters, salt systems, lights or any other parts and equipment, solar blankets and roller installation. Our trained technicians will help you with all of your pool needs. 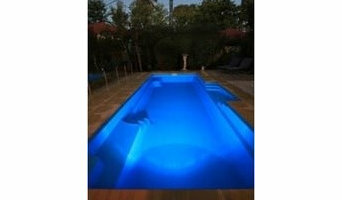 CJG Pools & Earthworks are expert Swimming Pool Builders in Canberra. 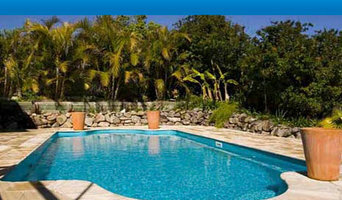 We also provide Pool Landscaping services including Concrete Pool Maintenance and Construction. We are your specialists in providing the most innovative and environmentally friendly pools and equipment; we are able to transform your backyard into an entertainment and lifestyle heaven for you and your family. 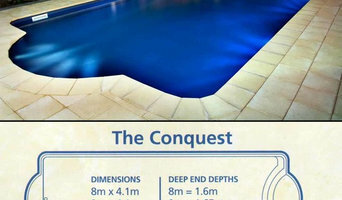 We are the leaders in the swimming pool industry in the local ACT, Goulburn and surrounding area’s, building and installing concrete in-ground swimming pools, and Compass ceramic composite fibreglass in-ground swimming pools to the Canberra, Queanbeyan, Murrumbateman, Yass, Braidwood, Bateman’s Bay, Bega, Ulladulla, Kangaroo Valley, Bowral, Sutton Forrest, Berrima, Crookwell, Goulburn and surrounding areas. We are a locally owned and operated company, specialising in the installation of the highest quality in ground fibreglass swimming pools in Australia. We service the Canberra region and surrounds and have done so with pride and outstanding results for over 23 years. 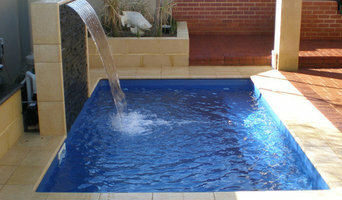 Add value to your home, make the most of family life and extend your living room with an in ground swimming pool or spa. There is no better way to enjoy your leisure time, relaxing, entertaining friends and keeping cool on hot sunny days than with a pool or spa installed by Capital Fibreglass Pools. Australian and New Zealand pool builders continue to push the boundaries in terms of design. Infinity pools, for instance, are no longer reserved for top-end holiday resorts; and lap pools aren’t standalone additions to a backyard. You can now get your feet wet in an infinity pool, lap pool or swim spa that is an integral part of your Canberra, Australian Capital Territory home design. And, with improved technology, there are more low-maintenance, energy-efficient and sustainable options available. Whether you’re at the beginning stages of planning a pool or spa, renovating an existing one, or just need upkeep assistance, there’s a Canberra, Australian Capital Territory pool specialist on Houzz who can help. After council approval, your contractor will commence construction, which can take up to two weeks for a fibreglass pool and longer for a concrete pool. Some companies in Canberra, Australian Capital Territory extend their services to pool fencing, landscaping and the coordination of trades for filtration and heating equipment, as well as pool cleanings, water testing, renovations and equipment replacement or repairs. Here are some related professionals and vendors to complement the work of pools & spas: Garden & Landscape Supplies, Landscape Architects & Designers, Building Project Managers, Landscape Contractors & Gardeners, Solar Power Contractors. Find a Canberra, Australian Capital Territory swimming pool and spa expert on Houzz.